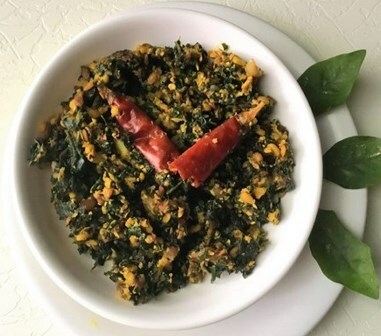 Red Ponnangani keerai thuvaram is prepared with onions, coconut small onions paste and with cooked moong dal or toor dal. 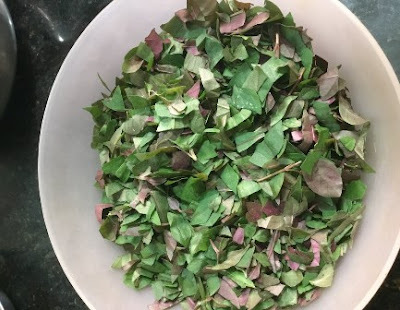 This red ponnangani keerai has so many medicinal benefits. After removing these leaves from this greens, you can plant these stems in a small pot or in your backyard. This greens require regular watering. It grows well within a few weeks and you can pick the fresh leaves from the stem for cooking. 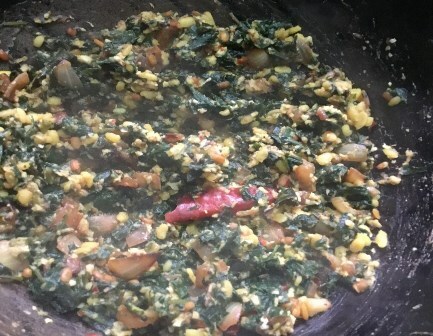 For any greens poriyal/thuvaram I add some cooked toor dal or moong dal along with the coconut masala. Because it gives you a nice taste and flavour to the dish. 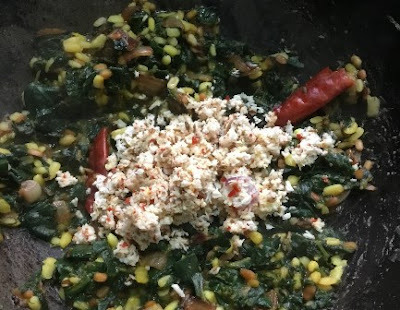 In this dish I have added cooked moong dal and the coconut paste. Make sure to cook the greens well. This ponnangani keerai requires some time to cook. 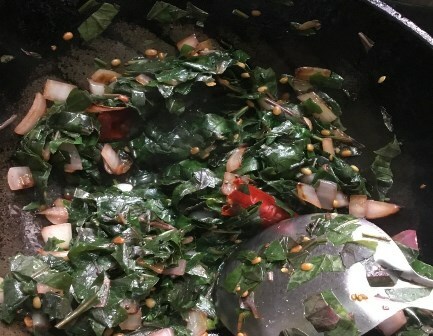 For any dishes prepared with greens regular sauteing is very important. Now we will see how to prepare this poriyal. 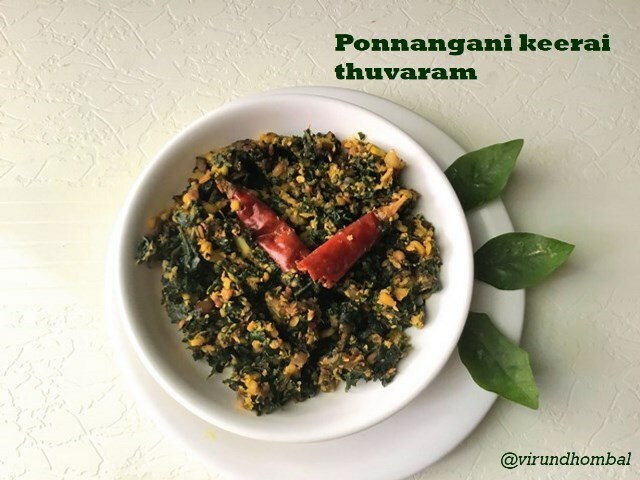 Red Ponnangani Keerai thuvaram / poriyal is a healthy side dish for your lunch. Remove the leaves from the stem and wash the leaves 2 to 3 times in water. Chop the leaves finely. 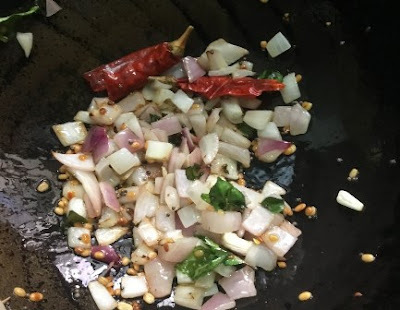 Grind the coconut, small onions, garlic cloves and cumins coarsely without any water. 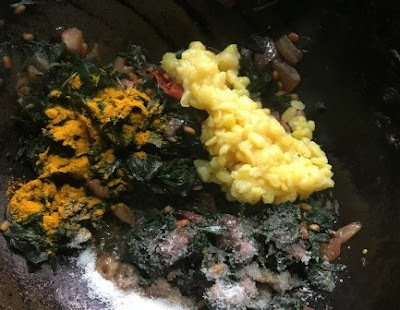 Heat oil in a pan and add the mustard, urid dal and dried red chilly. When it splutters, add the chopped onions and saute them well for a few minutes. Next, add the chopped ponnangani keerai and saute them well for a few minutes. When the leaves wilt, splash a handful of water and cook them on medium heat. After 3 minutes, again splash some more water and cook them well. When they are cooked well, add the turmeric powder, cooked moong dal, ground coconut paste and required salt. Mix them well. Saute them well until the water in the poriyal completely evaporates and then transfer it to the serving dish. 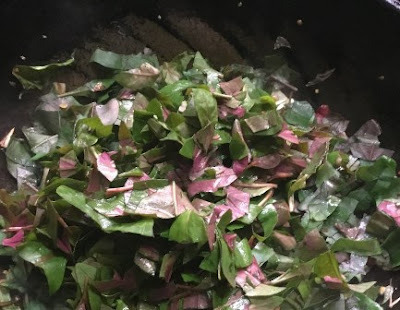 Remove the leaves from the stem and wash the leaves 2 to 3 times in water. Chop the leaves finely. These are the fresh leaves grown in our house. Heat oil in a pan and add the mustard, urid dal and dried red chilly. When it splutters, add the chopped onions and saute them well for few minutes. When the leaves wilt, splash a handful of water and cook them on medium heat. After 3 minutes, again splash some more water and cook them well. When they are cooked well, add the turmeric powder, cooked moong dal, and required salt. Mix them well. ure. Next, add the ground coconut, small onion, garlic, red chilly and cumin mixture. If you try this recipe for Red Ponnangani Keerai thuvaram / poriyal leave your comments below and share the recipe for your friends and family.